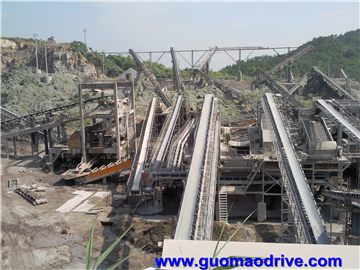 As driving force of belt conveyor, hoister and other equipment, electric drum is widely used in mining, metallurgy, telecommunications, food, cement, tabacco & other departments. It can transport a variety of bulk, blocky materials and other finished goods. 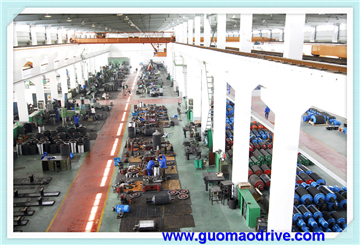 The electric drums produced by our company has two transmission forms of planetary & cycloid gears. With the installation of built-in motor, external motor and mobile type, we have a total series of BYJD, BYJD1, YJT, WD, WT and other products. And each series of roller can be packed with rubber. We have three kinds of rubber surface of flat, herringbone & diamond. The electric drum can also append backstop function. And for built-in motor roller it has oil cooling type & oil-immersed type, for external motor roller it has horizontal in-line type, vertical motor type and horizontal vertical type. the coupling there's flexible pin coupling and hydraulic coupling. The roller can be used in dust, humidity, muddy and open-air working sites. It is suitable for ambient temperature from -20 to 40 degree, and can not be used for high-temperature materials and explosive places. The suitable altitudes should be no more than 1000m above sea level. And it should be installed level. 1,This series Drive rollers are welded by steel plate, and using rolling bearings. 3,Please refer to the following table for each bandwidth of the roller.